CES assisted the Borough of Westville in developing a waterfront park along the Big Timber Creek. The site included a portion of a stream bank stabilization project that had been administered by the NJDEP along Big Timber Creek. Historically, the site was the location of a cement manufacturing facility, which had ceased operations approximately 40 years earlier. All that remained of the former concrete facility were a few concrete pads and the remnants of the rail car unloading dock. The waterfront park is intended for passive recreation and for providing access to the waterfront. 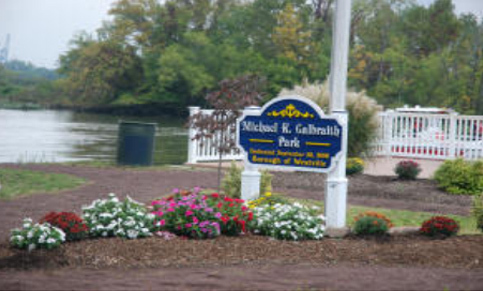 The park includes a parking area for vehicle and boat trailer parking. A boat launch area had already been constructed as part of the NJDEP’s stream bank stabilization project. At the Borough’s request, the boat access was limited to non-motorized craft. The design also included paths, landscaping, and an observation deck. The observation deck was cantilevered over the bank, utilizing existing steel sheet piling. CES obtained a NJDEP Waterfront Development Permit for the project. Since no wetlands were being disturbed, no additional Division of Land Use permits were required. The project was also reviewed by the U.S. Army Corps of Engineers, Regulatory Branch (Philadelphia); however, it was determined that no ACOE permit was required for the project.